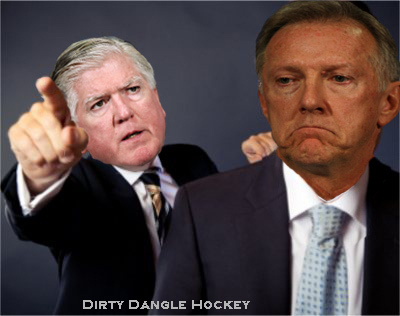 Dirty Dangle Hockey: Ron Wilson Fired. Brian Burke must have shed some tears today when he fired his long time friend, Ron Wilson. Wilson is fired just 2 months after he was given a 1 year extension from Burke for Christmas. 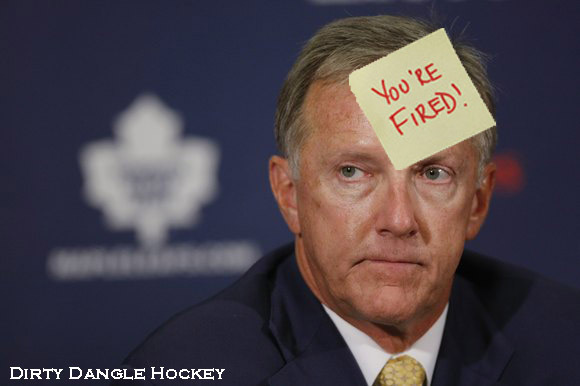 In just under 4 seasons as coach of the Maple Leafs, Wilson had 130 wins, 135 losses and 45 overtime losses, but most importantly he couldn’t find a way to get the Leafs into the playoffs. In his last game in Toronto, fans at the ACC chanted "Fire Wilson" as the Leafs lost to the Florida Panthers, and the fans were heard. Behind the bench in Montreal tomorrow will be former Anaheim Ducks coach, Randy Carlyle, who is also a former draft pick of the Toronto Maple Leafs in 1976. He'll take over a struggling team that sits 5 points out of the playoffs, and 5 points out of the Eastern Conference basement. 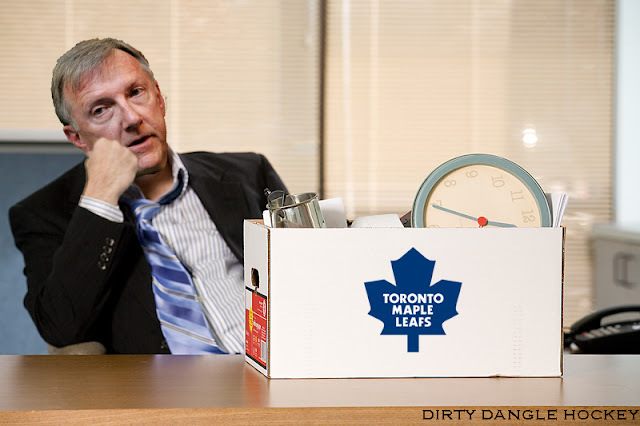 It will be interesting what direction the Leafs will go from this point on under new leadership, but let's just hope they don't run into Ron Wilson on his way out.